The Mountbatten Mirror features a large window design crafted from mahogany wood and finished with a sophisticated black lacquer. 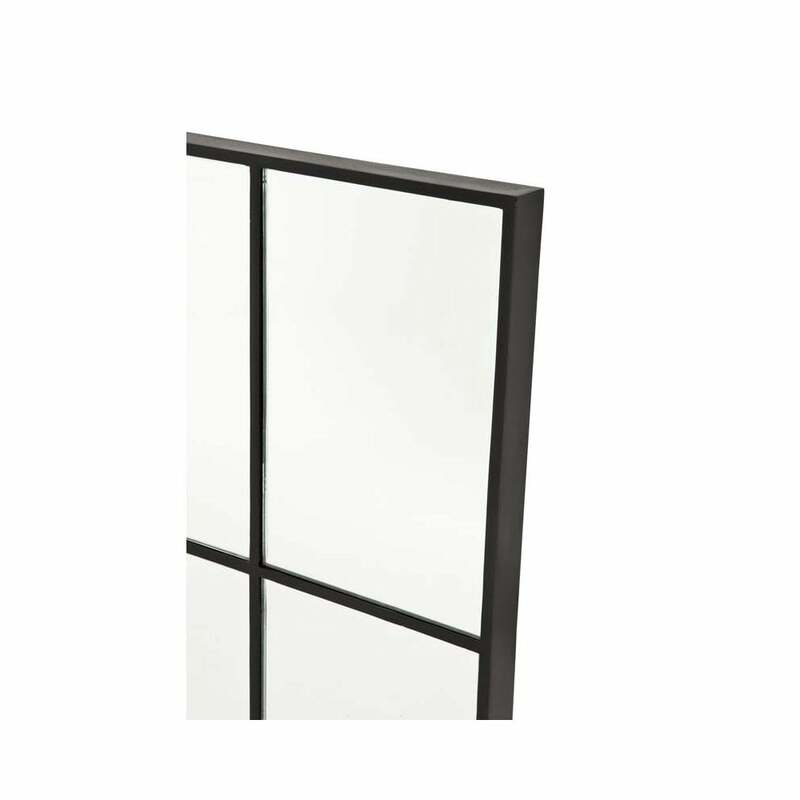 Part of the luxury accessories collection by Eichholtz, this sleek rectangular mirror is built with high-quality mirror glass panels to create light and radiance. Incredibly versatile, Mountbatten can be hung horizontally or vertically. This must-have piece will bring a touch of glamour to a dining room, hallway, or living space. Position above a fireplace to evoke a modern Parisian elegance or position in multiple horizontal panels on a large wall to create an artistic feature. The Mountbatten mirror works beautifully with both vintage and industrial style schemes. Also available with antique glass panels, make an enquiry for more information.